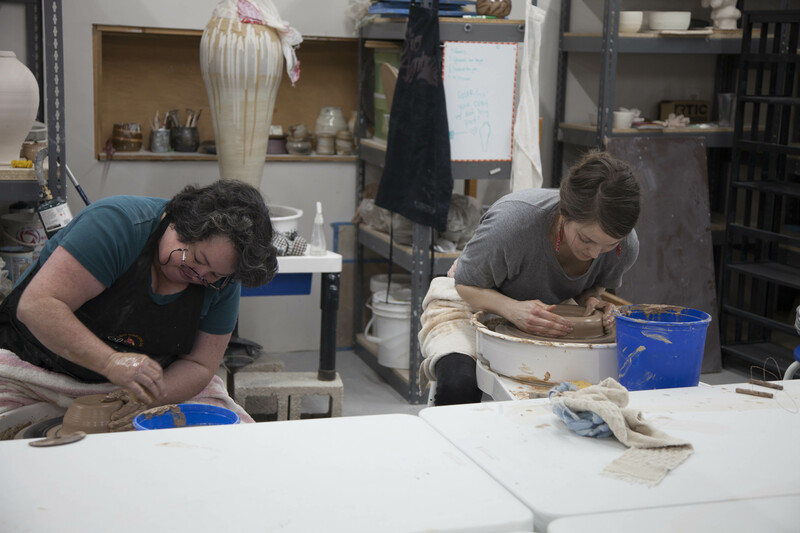 Choosing to be a potter requires a creative spirit, a strong work ethic, long hours, and a wild capacity to dream. Here at The Village Potters we have created an environment that fosters these qualities in our 25 Independent Study & Mentoring (ISM) students. The whole team of resident Village Potters do all we can to partner with these interns and encourage them. We offer up to $12,000 in financial assistance to students to help them on their journey. This money is generated through the sale of our work, and through donations made toward their tuition. This fall we plan to raise $20,000 for scholarships for 2018. This is where YOU can partner with us and help to “Nurture a Crafted Life” for an emerging potter. You are invited to an all-day event on Saturday, October 14 for three kiln openings here at The Village Potters! 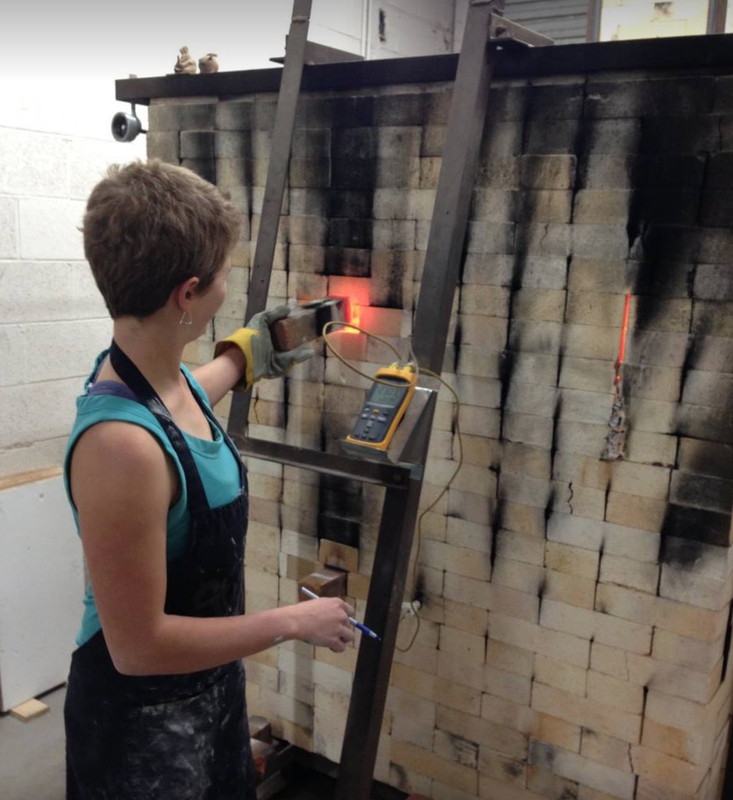 I (Sarah Wells Rolland) will have large work in our downdraft reduction kiln, and large work from our wood ash Kazegama kiln. These are significant pieces and will be a great addition to any collection. Judi Harwood will be firing Raku and Horsehair Raku pots made by her and the rest of the Village Potters. These pots are unique and you will see them come from the fire right before your very eyes! 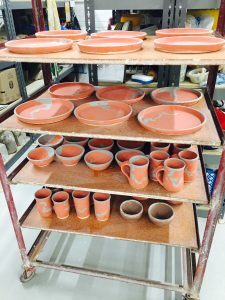 New work, large work, and lots of wonderful pots will be for sale with all the proceeds going to our Independent Study and Mentoring Program, which allows students to pursue their creative dreams where they might not without the scholarship program. If you have been wanting a large work of mine, a Raku pot of Judi Harwood’s or one others on our team, then this is the time to come and pick out the perfect piece for a great cause! We are doing this in conjunction with American Craft Week. 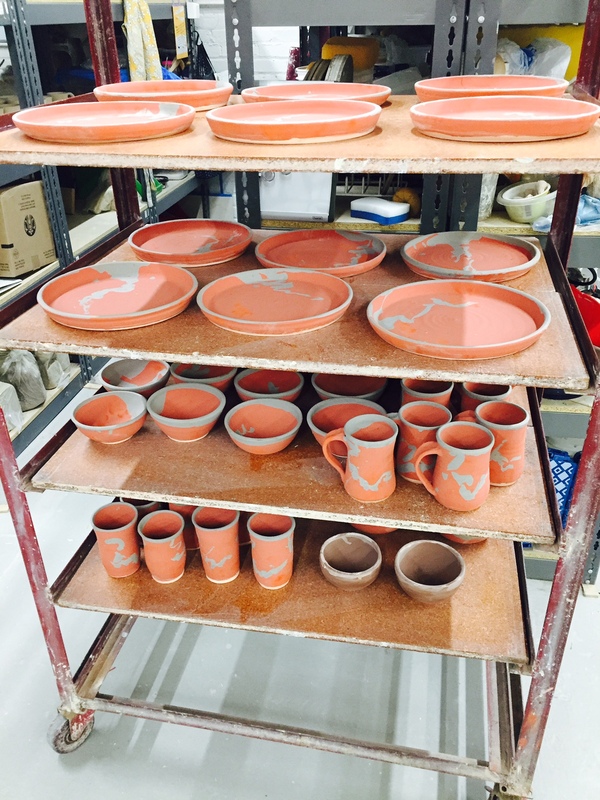 Mark your calendar and join in the fun of what will be an amazing fundraiser and pottery sale! **If you can’t make it and want to partner with us, you may make a donation to The Village Potter Independent Study Program online or send us a check. All donations are deeply appreciated and your contribution makes you a wonderful contributor to the sustaining of artists and fine craft!